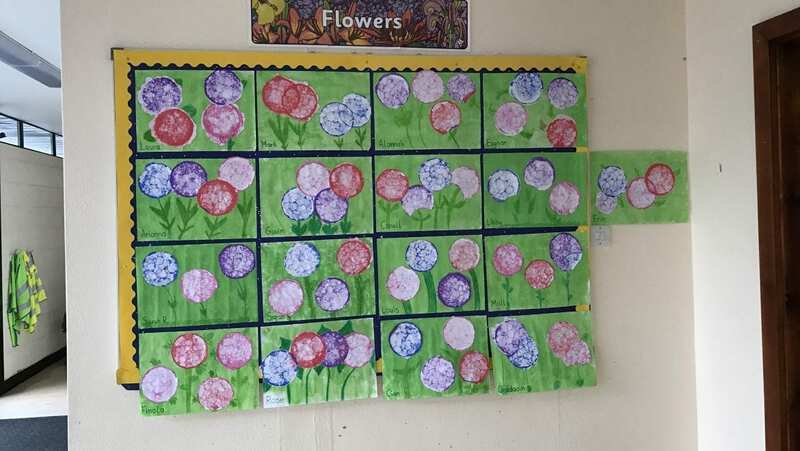 We had great fun making these flower prints. We made up mixtures of paint, washing up liquid and water. Then we blew into the mixtures with straws to create the bubble effect. 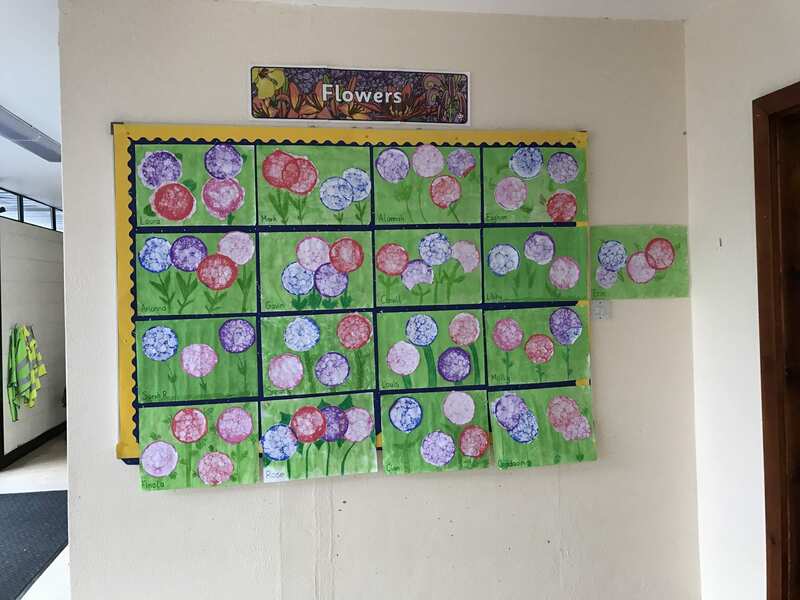 Once dry, we cut them out and arranged to make beautiful posters.